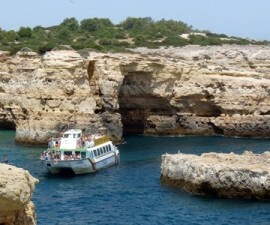 Albufeira is a fun, tremendously popular holiday destination in the Algarve region, Portugal. There are many events in Albufeira throughout the entire year, but summertime is undoubtedly the favourite amongst locals and tourists. From gastronomy festivals to live performances, from arts & crafts fairs to fresh produce markets, Albufeira has everything one needs to have a great time, regardless of one’s taste and budget. Do not forget to check the Albufeira city hall website for information on all of the events happening throughout the year before you arrive here, or visit the tourism office to get all the details about Albufeira’s events and festivals. New Year’s Eve in Albufeira is definitely an event you would not want to miss. In addition to live performances happening before and after midnight, beach parties are always one step from you, some of them even unofficial. The awe-striking fireworks are also one of the main reasons locals come out to the chillier weather and tourists continue to visit year after year: it is considered to be the most amazing fireworks show in the entire Algarve region. And as Albufeira is known to party, do not forget to visit the strip and the bars that remain open to celebrate the New Year. 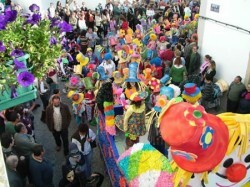 Although it is a small village, Paderne is known in Albufeira to have one of the best and most fun Carnival parades. The atmosphere is always amazing and the costumes and allegoric cars usually depict Portuguese politicians and their poor choice of conduct. This is a great opportunity to blend in with the locals and have a great time watching the parade during the Paderne Carnival, which is usually held in February and can taken place for two days, although it is not certain. The Carnival celebrations are accompanied by food, drink, and lots of people in the streets wearing masks and colourful costumes, parading around town. 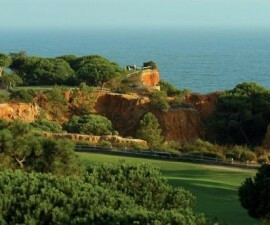 September 27th celebrates the World Tourism Day, which in Albufeira is looked at as one-of-a-kind event. When choosing to celebrate the World Tourism Day, the city hall is trying to capture the visitors’ attention for the need of looking at tourism as an activity included in the sustainable development of Albufeira. Usually, there are guided tours around town and several art performances dedicated to tourists. During the month of July, the Fishermen’s Beach Square welcomes the Al-Buhera Festival, a place for tourists and locals to get together in this amazing and giant festival of music and handicraft. The Al-Buhera Festival gives the opportunity to a significant number of craftsmen to showcase their products and unique pieces of painting, sculptures, jewellery, decorative arts, and many other art displays, and to thousands of visitors to get to know these pieces and objects and eventually buy them. The Al-Buhera Festival is also a chance for musicians, dancers and several other performers to show what they are all about, coming from other parishes and villages around Albufeira. Reggae, funk & soul, and Fado are the favourite genres to entertain the crowd at this venue. The first weekend of September is always a great time of the year to be in Albufeira, as it is celebrated the Festa do Pescador, or the Fisherman Festival, in the Fishermen’s Beach. The Festa do Pescador is about folklore music and dance and, of course, food. 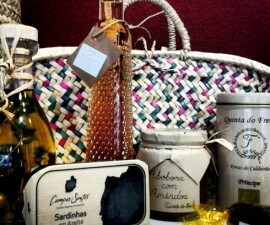 People are more than welcome to go there and join the festivities while indulging in a nice cup of wine and a typical sweet or appetiser from Albufeira or the Algarve region. This is indisputably one of the favourite festivals for people who live in Albufeira and tourists who visit in search of a wonderful holiday. 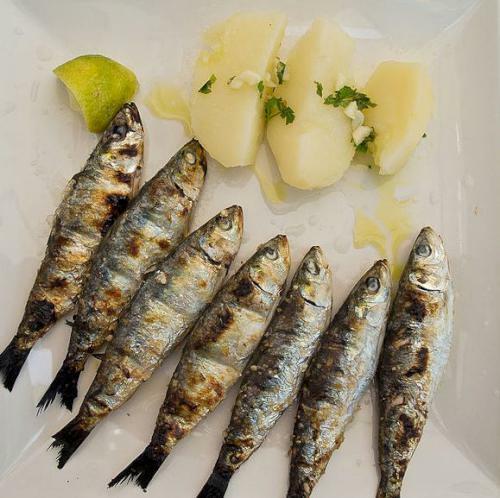 The Sardine Festival is held during August in Olhos de Agua, a parish near Albufeira. The secret here is: a lot of sardines, wine and music. 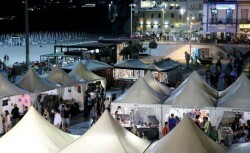 People are invited to visit each “food tent” and choose from the many delicacies presented by local enthusiasts. Sardines are, of course, the main dish to be served, usually grilled, and served with potatoes and salad, or on bread. The Sardine Festival has been visited by many people for years now, turning Olhos de Agua into a much sought-after village in Albufeira. The Gastronomy Festival of Albufeira lasts for a week in September and is held every year with the main purpose of promoting and spreading the word about some of the best gastronomic delights in the Algarve region. The Gastronomy Festival is welcomed by several restaurants in Albufeira, which have a chance to showcase their best regional and typical dishes, and includes live musical performances.